Many things can lower the quality of the air in your home—smoke, cleaning product fumes, volatile compounds in building materials and paint, pest control products, pollution from outdoors and more. Some of these air contaminates are minor annoyances that dissipate quickly, but other indoor pollutants present an ongoing health hazard—especially for the young, the elderly, allergy sufferers and people with compromised immune systems. It’s essential that you regularly replace your indoor air filters and maintain your indoor air purifiers to keep your HVAC system running efficiently. 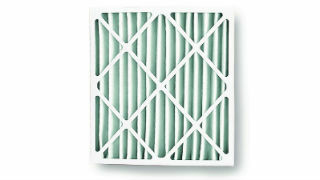 Look to Sears for help with regular indoor air filter and purifier maintenance. Sears Home Services offers a range of air cleaners; let us help you choose the best one for your home’s indoor air quality. Sears Home Services can add a HEPA air purifier to your central heating and cooling system, or you can buy a portable, stand-alone air cleaner. A HEPA air purifier uses three filters to clean your home’s air: A carbon pre-filter removes large particles, such as dust, pollen and fibers. 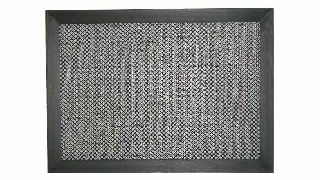 A HEPA filter traps the tiniest particles including bacteria, viruses, mold, smoke and dust. A carbon trap absorbs volatile organic compounds (VOCs) present as gases, fumes and odors. A PCO air purifier combines a photocatalytic oxidation (PCO) filter with ultraviolet (UV) lights to help eliminate bacteria, viruses, fungi, VOCs and odors. It’s installed on your central heating and cooling system and requires little maintenance. 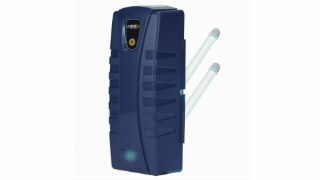 The UV air cleaner uses UV lights to help eliminate bacteria, mold, fungi and viruses. Sears Home Services can install it on your central heating and cooling system to prevent the growth of biofilm on the evaporation coil. A permanent, washable, durable plastic furnace filter has an electrostatic charge for better filtering. It comes with a lifetime warranty and is available in custom sizes. A pleated paper filter has more surface area than a normal paper filter, so it traps more dirt and dust. It’s available in 10 inch and 5 inch thicknesses. 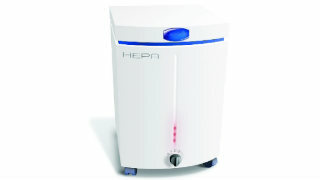 A HEPA filter is added to your existing HVAC system or is a stand-alone portable unit. This high-tech filter combines ultraviolet light with a PCO filter. It’s s installed in your HVAC system. Hospitals use UV-light filters, and now you can too. This filter is added to your HVAC system. 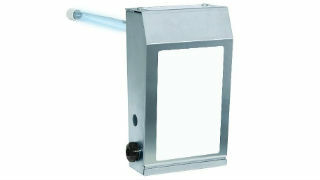 A permanent filter is durable plastic and has an electrostatic charge to trap more. Pleats add more filtering area, so this filter can trap more than a standard filter.